Hair loss is not usually something that young women spend much time worrying about. 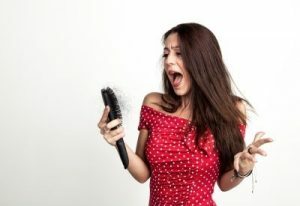 It’s easy to take a full head of hair for granted, that is until ladies begin noticing larger amounts of hair in the bristles of their hairbrush or the drain of their shower. If you’ve experienced thinning hair, you should know that you’re certainly not alone. Plenty of women struggle with hair loss. Take control of your hair health and your self-esteem by examining your hair restoration options. Many women first voice their concerns about hair loss when they see a primary care physician. Although primary care physicians are experienced in dealing with many different medical problems, hair loss is not generally among them. Many doctors dismiss patients’ concerns if their hair loss does not appear to be significant yet. As a patient, you have the right to specialized and personalized care. Make an appointment with a hair loss specialist who will take your concerns seriously and provide a comprehensive scalp examination. One of the first steps your hair loss specialist will likely do is order medical tests. There are many possible medical causes of hair loss and some of these may be temporary. For example, you may have an undiagnosed illness, hormonal imbalance, or nutritional deficiency. In some cases, simply correcting the underlying medical problem can help encourage hair regrowth. Keep in mind that it isn’t unusual for an exact cause to remain elusive. But if you are diagnosed with female pattern hair loss, then a hair transplant may be your best option for restoring your hair. Look for a hair restoration specialist who offers the latest medical technology, such as the robotic hair transplant system. This sophisticated technology will give you the best possible results. While you’re waiting for your hair to grow in, you should avoid using weaves or aggressive styling techniques. Instead, consider wearing a wig, headband, or head scarf to temporarily camouflage the thinning spots. Previous Post: « Is Thyroid Disease Causing Your Hair Loss?